Julie Falco was active in lobbying Illinois to legalize medical marijuana, a drug she credits with "saving my life" since she started eating pot brownies to treat her multiple sclerosis 10 years ago. Yet now that the state has enacted a medicinal cannabis law and in August began distributing applications for would-be patients, the Chicago woman is still deciding whether to go through that process or simply continue to use the drug outside of the new legal channel. 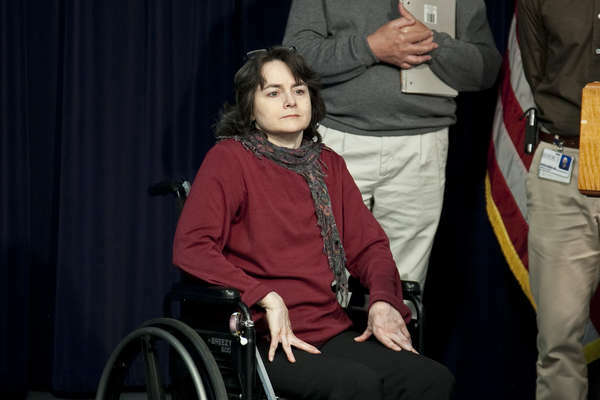 She's particularly concerned about having to submit her fingerprints to the state – Illinois is the only state that requires that of medical marijuana applicants – along with documentation of her Social Security disability insurance, proof of age and residency and a recent photo. She's never had to submit such information for the narcotics prescribed to her in the past, she noted. "Boy, this is a lot of hoop-jumping to go through," said Falco, 49. Almost nine months after Illinois' medical marijuana law took effect, the state is set to begin accepting applications in September for prospective patients. Yet while officials have touted the Illinois law as being the strictest around, others criticize the application process as being onerous and intrusive. Individual physicians, meanwhile, are also trying to determine their own comfort level with recommending a drug that federal law still prohibits and puts in the same class as heroin. With applications now available online, advocates say those who want to use medical marijuana should make appointments to get examined by a physician to be certified as having one of the 38 medical conditions that qualify – or they should find a new doctor. Illinois law requires patients to get a recommendation from a doctor with whom they have a "bona fide physician-patient relationship." That means, state officials say, that even if the patient is new to a doctor, that physician must be assessing or treating the patient's disease. Patients and doctors "do not need a prior relationship, as long as the doctor reviews the patient's records," said Bob Morgan, coordinator of the state's medical marijuana program. "It's intended so the physician has personal knowledge of the patient's condition." At least 100,000 people in Illinois have one of the qualifying conditions to get medical pot, officials estimate, and they expect thousands or tens of thousands of people to apply for medical marijuana identification cards in the first year. Once qualified, patients may buy pot from one of up to 60 dispensaries allowed statewide, which will be supplied by up to 21 cultivation centers. Though grow centers and stores aren't expected to open until early next year, the state will be taking patient applications through the end of the year. The law requires that the state respond within 30 days of receiving a completed application. If the Illinois Department of Public Health denies the application, it will notify the applicant as to why, Morgan said. Applicants may appeal the ruling to an administrative law judge. In addition to providing extensive documentation of their doctors' recommendation, the main hurdle applicants must clear is a criminal background check. Anyone with a felony conviction for a violent crime, drug dealing or drug possession may be denied. Exceptions may be made on a case-by-case basis if the applicant can prove the drug possession was related to a qualifying medical condition. Caregiver applications are also available. Caregivers must be at least 21 years old and must also submit fingerprints for criminal background checks. Fingerprints must be submitted electronically through private vendors that participate in the state-certified Live Scan system, already in use to check concealed gun permit applicants and certain state-licensed workers. Live Scan sends the prints to the Illinois State Police, which runs them through the Automated Fingerprint Identification System and forwards them to the FBI for a nationwide background check. Such requirements are among many that might make the application procedure challenging, and might make some patients and doctors avoid the issue altogether, advocates say. No other states require criminal background checks to get medical marijuana, advocates said, but sponsors of the new law said they had to include such precautions to get enough votes to pass the bill. The process is new to doctors as well as patients, said Dr. William McDade, president of the Illinois State Medical Society. Some doctors will want to avoid the paperwork or the risk they might perceive from recommending a drug that they are prohibited from prescribing under federal law, he said. A significant burden for doctors will be that, before recommending a patient for medical pot, they must review all medical records for the patient spanning the prior year, McDade said. That could be difficult if a patient sees multiple doctors, which wouldn't be unusual for someone with a serious condition such as HIV, lupus, Crohn's disease or muscular dystrophy. Some of the qualifying medical conditions, like fibromyalgia and spinal cord injury, are general enough that they may be prone to abuse by patients seeking marijuana to get high rather than for treatment, McDade said. Doctors should also warn patients that driving a motor vehicle, even hours after consuming marijuana, may be dangerous. And while patients may come in seeking the drug based on what they've seen in the media or online, he said, they may not be aware of the risks, such as lung damage from smoking. To educate doctors on the issue, McDade's group will hold webinars on the subject in upcoming weeks. "It's a fine thing for those patients it benefits," McDade said. "But we have to be very cautious about ... letting them know all the downsides. Every medicine has its own side effects."